I received my beautiful package today from Rachel's Fantasy Island on Etsy. It was in a study box decorated with RILAKKUMA tape (AAWWW). 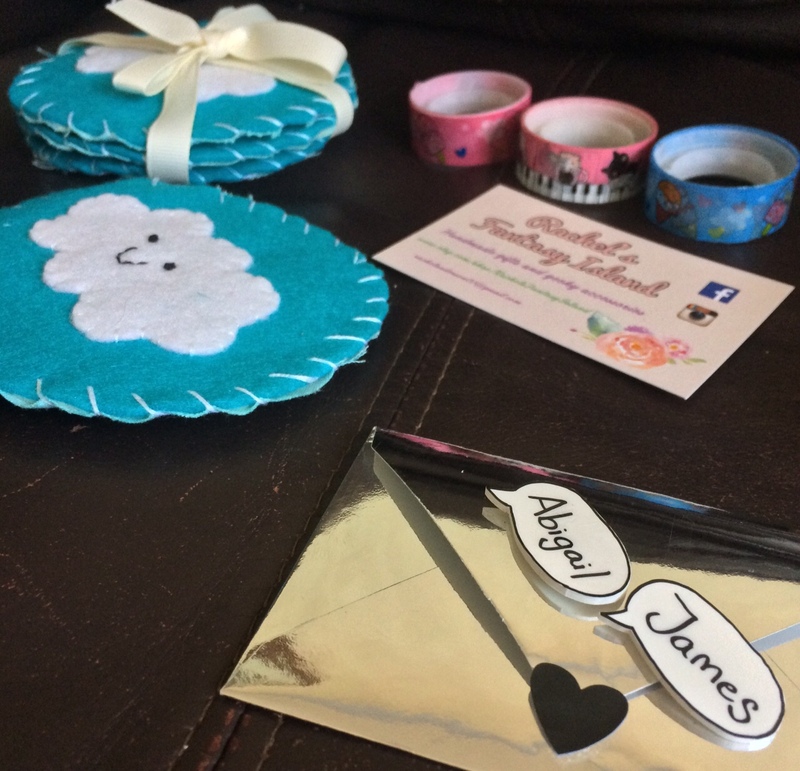 I ordered a set of gorgeous handmade cloud coasters and some personalised magnets which I plan to put on the fridge when me and my boyfriend get our own place. 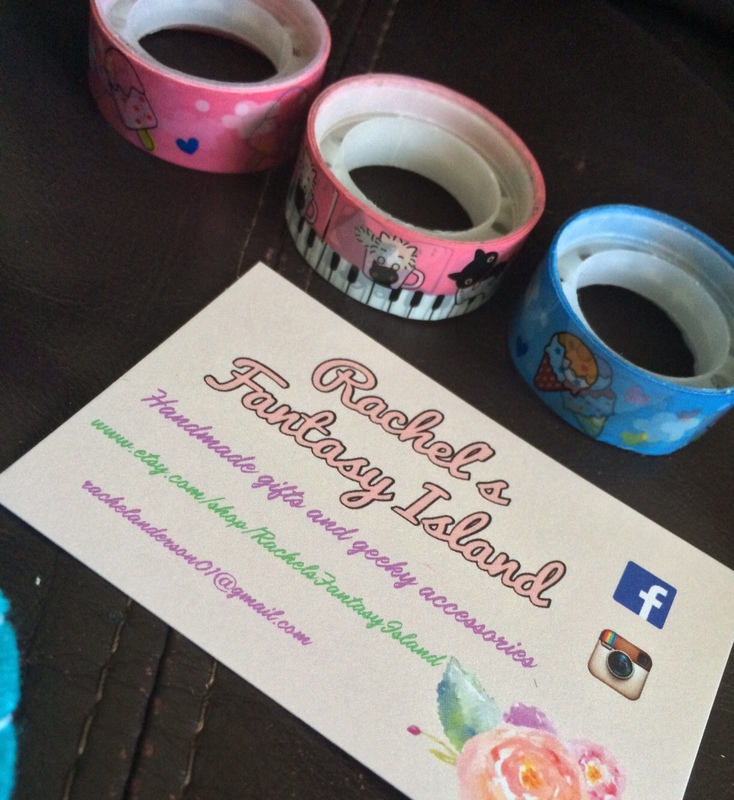 Rachel was also kind enough to also include 3 rolls of cute washi tape with my order and the cutest little note. The cloud coasters are very substantial and so cushiony! They are super cute and I will be very careful when putting drinks on there, cups of water only I think because I want them to stay this cute always. The magnets are absolutely precious. I got her to make them with my name and my boyfriend's name as I thought they would look cute on the fridge, perhaps with each of our schedules and reminders next to them. The washi is so cute! Two rolls have ice creams on them and one has little kitties and piano keys. I will enjoy using these in my planner.